Nicole Richie has been caught 'driving under the influence'. Influence of what you may ask. Well she's admitted cannabis and Vicodin but can that really explain driving the wrong way up a 'freeway'? I think not. I feel a bit bad as she really seems to have been getting her life back on track recently. Everywhere I turn there seems to be another picture of her eating - that can't be easy for someone who's weight is probably the most discussed since Karen Carpenter's. No wonder she had an eating disorder. Wouldn't you if every time you put fork to mouth someone popped up from behind a bush with a camera. Still, I'm pretty militant in my non-acceptance of DUI so I can't say I'm sorry she got caught. Reports say that she was 'very cooperative and very humble' so i don't think she needs any further chastisement. However, according to Californian State Law second offenders for DUI (Nicole's first run in was in 2002 after 'a shot of vodka') should spend a minimum of 5 days in jail. So in honour of Nicole and her hopefully not-to-wobbly road to recovery, Little Miss B would like to dedicate today's post to one asset that every woman has. The eyelashes. And lets hope Nicole uses these babies to ensure that she stays out the slammer and this 'incident' doesn't derail her road to recovery. 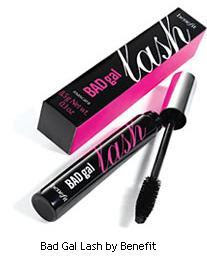 First Up its Bad Gal Lash by Benefit. This has to be one of my all time favourites. With 'the biggest brush in the business' it gives you probably the closest to false eyelashes you can get. I used to wear it everyday but I now keep it back for nights out when I want the lashes to be at their most noticable. But size isn't everything. As much as I love Bad Gal the mascara that is an almost permanent fixture on my lashes is Masterpiece Max by Max Factor. It looks a bit scary on the adverts but this is truly a wonder. One of the first mascaras to come out with the new finer brushes, of all the ones I've tried they seem to have got the consistency just right for the brush size. This one is a real must. Worth every every penny. Another fine brush wonder is Magnif'eyes by Rimmel. This really does accentuate every lash but unlike Masterpiece I find this slightly (and ever so slightly) too thick. If you don't have an eyelash comb this one may cause clumping problems. But only minor ones. Another surprise was Bourjois Pump Up the Volume waterproof mascara. When I first bought this I relegated it to the not-much-used make up bag at my boyfriends house because I found it so clumpy. However, after two months of being open I used it again and it was amazing. As for the white-then-black mascaras Bourgeois Coup-de-Theatre is really good but I like to use Bad Gal Lash on top of the white. My all time favourite is Origins Underwear for Lashes. You can really layer this up and then top it off with The Full Story Mascara (also by Origins). I have to say there were a couple I was really disappointed by. In face Lash Architect by L'Oreal was probably the most disappointing piece of make-up I've ever bought and as one of the most expensive mascaras on the market. I expected a whole lot more. It clumped beyond repair and after two months of being open became a sticky unbearable mess. I threw it out. I have actually only met one person who thought this was any good but am very willing to be told different. Rimmel's Volume Flash Mascara was also a huge lash clumper. I'm not a fan. If I had to choose then its a really tough call between Masterpiece and Bad Gal Lash. They are both great by it would probably have to be Masterpiece. 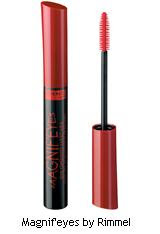 Anytime anywhere this is a great mascara which will never let you down. I would love to hear of anyone who is a devotee of the false eyelashes or who has any suggestions for a mascara (or anything!) they can't live without. 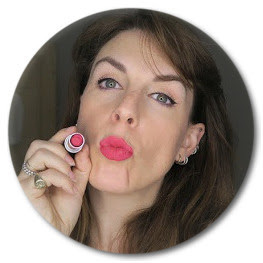 Hello, love the blog and that I have found a fellow beautyproductphile. I totally agree with you on the Max Factor mascara btw. I also love Clinique's Lash Doubling Mascara and have used it for years. Other beauty must haves that I recommend you to try: Guerlain Midnight Secret (I put it on as a moisturisor for a big night out as it gives you velvety skin), Nars cream blushers, Nars glitter eye pencils, SKII cleansing oil, L'Occitane Honey moisturisor, YSL eye and lip treatment, Christian Dior Eau Svelte (gorgeous smelling and lasts all day), Aromatherpy Associates Relax bath oil, Ren Rose bath oil (both seriously amazing bathing experiences) Shu Uemura eye lash curlers - more expensive than most, but my perfectly curled eye lashes speak for themselves!